The makeover includes one new engine and one "virtually new" engine, representing what the company calls its biggest-ever investment in powertrain. The base engine, a 188-hp, 2.5-liter direct-injection four-cylinder, is technically a carryover, but 95 percent of it is redesigned. In addition to gaining 9 hp and a slight boost to 180 pound-feet of torque, its redesign resulted in reduced noise and vibration and improved fuel economy. 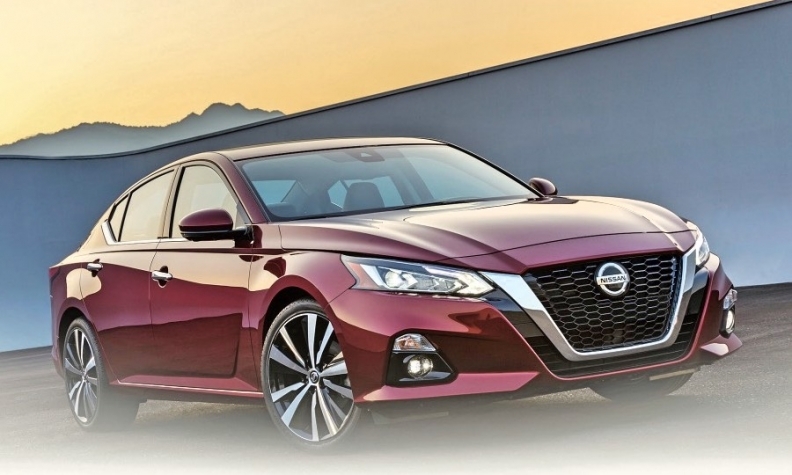 The Altima's second engine is the brand's first use of Nissan Motor Co.'s new global 2.0-liter variable-compression turbo inline-four. The so-called VC-T, with 248 hp, replaces the Altima's previous 3.5-liter V-6 and gives up nothing by way of performance in the downsizing. The same engine, with additional horsepower, is bowing in the company's redesigned Infiniti QX50 crossover. In both nameplates, the engine produces turbocharged acceleration and fuel efficiency. To put an exclamation point on the new powertrains, Nissan has introduced an intelligent all-wheel-drive system on all grades of the 2.5-liter version, making the Altima the first Nissan sedan to offer awd in North America. The system provides on-demand torque distribution and hill-start assist for low-grip surfaces. There are numerous other engineering and feature enhancements. The suspension received a 15 percent reduction in longitudinal stiffness to eliminate the feel of road bumps, and a 10 percent tightening in lateral and roll stiffness to dampen body movement. Inside, the updated cabin shows a more open, modernized dash and instrument panel, and an 8-inch customizable color display screen. Apple CarPlay and Android Auto now come standard. The seating is sturdier, and a sportier steering wheel feels more substantial to hold. Pricing, including shipping, starts at $24,645 for the Altima S 2.5 front-wheel drive, and $25,995 for the Altima S 2.5 awd.